'Champagne Charlie' is a sturdy, stable and very comfortable 43 Perry. Heaps of room for all the family with 4 cabins, 3 toilets, 3 showers, large galley down giving her a great saloon. On deck she is spacious and modern, with her rigging replaced in 2012 and a great selection of sails. 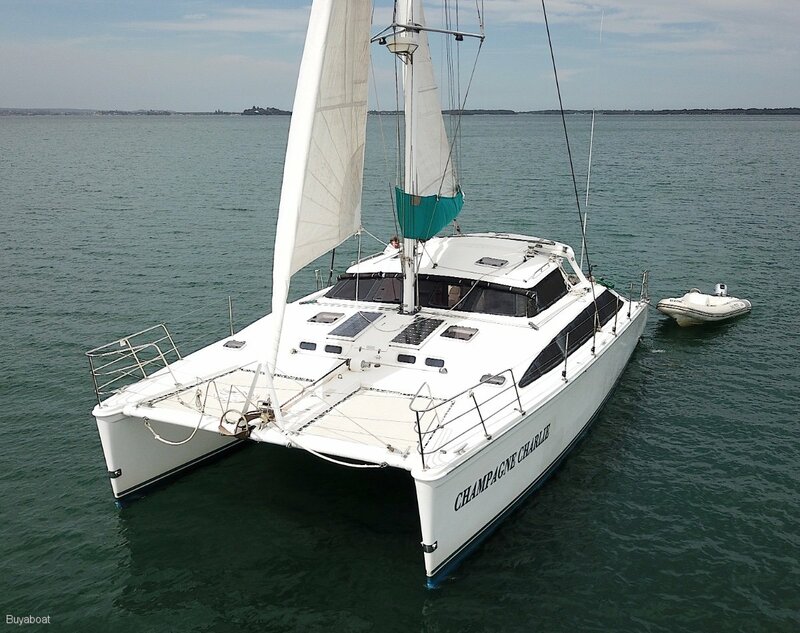 This boat has sailed up the East coast every year for 18 years and could sail herself up to the reef. Don't dream about cruising away, do it today. Twin 50 Hp sail drives, fresh water cooled in good condition. Spin flo Oven and separate 4 burners, Sharp Carousel, Twin stainless steel sink, Hot and cold water, 130 L fridge. Large doubles bed in Port and starboard Bow cabins and port and starboard stern cabins. 3 enclosed part of the heads. 3 - 1 electric macerator, 2 pump. Swift inflatable with aluminium bottom, holds 4. Maxwell electric anchor, with Manson Supreme anchor, 70 m chain, fenders and lines. 3 large golf kart type batteries for house, 2 x start batteries, 4 solar panels large, shore power rigged, with Inverter charger heart Interface, 12 v lighting and LED. Raymarine autopilot, speed, wind. Radar, Sea Map on Computer, Garmin GPS x 2. ICOM VHF, AIS, ICOM HF radio. Radial Cut main (Quantum Sails Bris) 70%, furling headsail 70%, Screacher 90%. Standing Rigging replaced by David Lamborn 2012, Mast Spares repainted 2015. Dingy davits, Stainless Galley Mate BBQ, 2 x boat mooring hooks, boat swim ladder, fishing rocket launchers. Antifouled in Nov 2017 'Champion Charlie' is ready to sail off into the Blue with you.